Creating, developing, advocating, organizing, regulating, maintaining and recording athletic and sports activities, namely, basketball, cross country, football, curling, ice hockey, soccer, swimming, track & field, volleyball, wrestling, field hockey, rugby, alpine skiing, snowboarding, ski jumping, archery, rowing, waterskiing, diving, biathlon, canoeing, speed skating, rhythmic gymnastics, gymnastics, fencing, badminton, cycling, softball, judo, tae kwon do among Canadian institutions of higher learning and other persons and organizations; conducting research in and to developing and promoting skills in playing, coaching and officiating in athletics, sports and recreation; developing and advocating physical fitness; fostering, advocating, reflecting and interpreting ideals and standards of good sportsmanship through athletics, sports and recreation, operation of a website on the world wide web consisting of information in the field of sports. 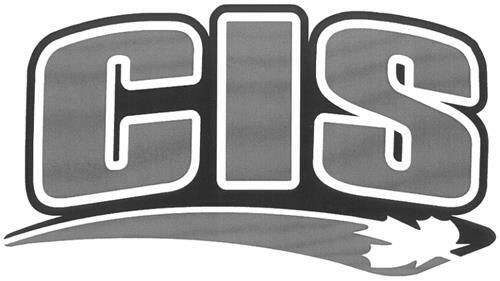 On Wednesday, November 26, 2008, a canadian trademark registration was filed for the above pictured logo by Canadian Interuniversity Sport 801 King Edward Ave., Suite N205, Ottawa, ONTARIO, CANADA K1N6N5. The Canadian IP office has given the trademark application number of 1419671. The current status of this trademark filing is Registration published. The correspondent listed for is BORDEN LADNER GERVAIS LLP of World Exchange Plaza, 100 Queen Street, Suite 1300, Ottawa, ONTARIO, CANADA K1P1J9 The trademark is filed in the description of Creating, developing, advocating, organizing, regulating, maintaining and recording athletic and sports activities, namely, basketball, cross country, football, curling, ice hockey, soccer, swimming, track & field, volleyball, wrestling, field hockey, rugby, alpine skiing, snowboarding, ski jumping, archery, rowing, waterskiing, diving, biathlon, canoeing, speed skating, rhythmic gymnastics, gymnastics, fencing, badminton, cycling, softball, judo, tae kwon do among Canadian institutions of higher learning and other persons and organizations; conducting research in and to developing and promoting skills in playing, coaching and officiating in athletics, sports and recreation; developing and advocating physical fitness; fostering, advocating, reflecting and interpreting ideals and standards of good sportsmanship through athletics, sports and recreation, operation of a website on the world wide web consisting of information in the field of sports. .
Mark Disclaimer: The right to the exclusive use of the 11 point maple leaf is disclaimed apart from the trade-mark. (1) - Creating, developing, advocating, organizing, regulating, maintaining and recording athletic and sports activities, namely, basketball, cross country, football, curling, ice hockey, soccer, swimming, track & field, volleyball, wrestling, field hockey, rugby, alpine skiing, snowboarding, ski jumping, archery, rowing, waterskiing, diving, biathlon, canoeing, speed skating, rhythmic gymnastics, gymnastics, fencing, badminton, cycling, softball, judo, tae kwon do among Canadian institutions of higher learning and other persons and organizations; conducting research in and to developing and promoting skills in playing, coaching and officiating in athletics, sports and recreation; developing and advocating physical fitness; fostering, advocating, reflecting and interpreting ideals and standards of good sportsmanship through athletics, sports and recreation, operation of a website on the world wide web consisting of information in the field of sports.